Tickets to the induction gala, priced from $95 to $500, go on sale at 6 p.m. ET / 3 p.m. PT today and can be purchased at www.nvbhof.com (www.eventbrite.com/e/nevada-boxing-hall-of-fame-6th-annual-induction-dinner-tickets-43144441185) Caesars Palace is once again offering a discounted room rate for the event. 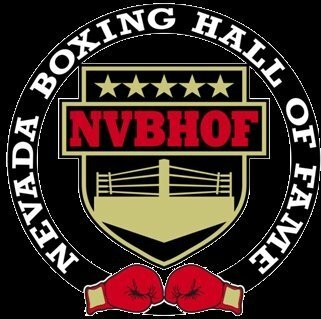 Rooms can be reserved now via this link: Nevada Boxing Hall of Fame. · LAILA ALI – Born Dec. 30, 1977 … Was 24-0 with 21 knockouts in career that went from 1999 to 2007. … Her father, Muhammad Ali, is one of the greatest boxers who ever lived and is a member of the Nevada Boxing Hall of Fame’s Class of 2015. … At various points in her career, Ali held the IBA, WIBA, IWBF and WBC super middleweight title as well as the IWBF light heavyweight championship. … She became the first woman, along with Jacqui Frazier-Lyde, to headline a boxing pay-per-view when they met in Verona, N.Y., on June 8, 2001. … She fought twice in Nevada, both times in Las Vegas. She stopped Suzy Taylor in the second round on Aug. 17, 2002, and stopped Valerie Mahfood in the eighth on Nov. 8, 2002. … Her husband, Curtis Conway, had an 11-year NFL career with four teams. · ALEXIS ARGUELLO – Born April 19, 1952. Died July 1, 2009. … Arguello was 82-8 with 65 KOs. … Held world championship at featherweight, super featherweight and lightweight. … Lost two bids for a super lightweight title to Aaron Pryor, both of which are among the greatest bouts of the 20th century. … He was named the No. 1 super featherweight of the 20th century by The Associated Press. … Was 20th in a Ring Magazine story on the 100 greatest punchers of all-time. … Made his debut in 1968 and retired for good in 1995. … Arguello was 6-2 in fights in Nevada. … Scored notable wins over Ruben Olivares, Bobby Chacon, Cornelius Boza-Edwards, Jose Luis Ramirez, Jim Watt and Ray “Boom Boom” Mancini. He was elected to the International Boxing Hall of Fame in 1992. · HENRY ARMSTRONG – Was born Henry Jackson Jr. on Dec. 12, 1912. Died on Oct. 24, 1988. … Was inducted into the International Boxing Hall of Fame in 1990. … Held the featherweight, lightweight and welterweight belts simultaneously in 1937 and 1938. … Compiled a record of 151-21-9 with 101 KOs. Widely regarded among the top five boxers who ever lived. … Was niced “Hammerin’ Hank’ and ‘Homicide Hank.’ … Was 27-0 with 26 KOs in 1937 alone. … The following year, he was 14-0 with 10 KOs. · CHRIS BYRD – Born Aug. 15, 1970 … Was 41-5-1 with 22 KOs as a pro and won a version of the heavyweight title on two occasions. … Lost in the 1988 Olympic Trials at light welterweight to Todd Foster, but made the 1992 U.S. Olympic team. He won a silver medal as a middleweight in Barcelona. … Despite being a smaller heavyweight, fought most of the big names of his era, including Vitali Klitschko, Wladimir Klitschko, Evander Holyfield, Ike Ibeabuchi, David Tua, Alexander Povetkin, Fres Oquendo and Jameel McCline. … Posted a 5-2-1 record in world title bouts … Attended Flint, Mich., Northwestern High School, which also produced two-time boxing gold medalist Claressa Shields. … Was 1-1 in fights in Nevada … Retired in 2010 and has become a trainer. · TODD duBOEF – Born Aug. 18, 1967 … duBoef is the president of Top Rank, a position he has held since 2005. Joined Top Rank in 1993. … Though Top Rank founder Bob Arum, a member of the inaugural Nevada Boxing Hall of Fame Class of 2013, remains the public face of the promotion, duBoef runs the company on a day-to-day basis and has played a key role in bringing the company into the digital age. … Considers himself a boxing evangelist and points to large crowds and high television ratings for fights around the world as reasons for optimism. … Shepherded a multi-year deal with ESPN to not only get Top Rank regular shows on the powerful all-sports network, but also pre- and post-fight shows as well as regular coverage during the week on the network. · JACK “DOC” KEARNS – Born Aug. 17, 1882. Died July 7, 1963. … Was inducted into the International Boxing Hall of Fame in 1990. … Kearns is best known as the long-time manager of heavyweight champion Jack Dempsey. With Dempsey, helped generate the first million-dollar gate in boxing history, when Dempsey fought Georges Carpentier on July 2, 1921. Kearns arranged for Dempsey to fight in Nevada numerous times… He is given credit for staging the first fight in Las Vegas, a card that had a main event between Archie Moore and Nino Valdes. … After Dempsey, Kearns managed other greats such as Moore, Mickey Walker and Joey Maxim. · KEVIN KELLEY – Born June 29, 1967 … Nicknamed “The Flushing Flash,” Kelley finished his career with a 60-10-2 mark with 39 KOs. … Defeated Goyo Vargas in Reno on Dec. 4, 1993, to win the WBC featherweight title. … Known for his fast hands and explosive power, Kelley faced most of the top starts of his day. His most memorable bout was a Dec. 19, 1997, loss to Prince Naseem Hamed. Kelley and Hamed were down three times apiece before Hamed finished the fight late in the fourth. … Also fought Marco Antonio Barrera, Erik Morales, Manuel Medina, Humberto Soto, Derrick Gainer, Luisito Espinoza, Bones Adams and Troy Dorsey. … Has done working as an expert analyst on television since retiring. · BILL MILLER – Miller was one of the top promoters in Las Vegas in the 1960s and 1970s. … He promoted a fight involving the legendary Sugar Ray Robinson at The Hacienda on The Strip on July 12, 1965, a bout Robinson lost to Ferd Hernandez. … Miller also promoted shows at The Castaways, but is best known for his weekly shows at The Silver Slipper. The fights began in 1968 and were held every Wednesday night. The series continued into the late 1970s. … Miller was known for promoting evenly matched fights which generated plenty of toe-to-toe slugfests. … He promoted numerous fights involving fellow 2018 Nevada Boxing Hall of Fame inductee Don Minor. · DON MINOR – Boxing came of age in Las Vegas in the 1960s and Minor was among the more popular fighters on the local circuit of the era. … He was 19-2 with nine knockouts in a brief pro career that began in 1961 and ended in 1965 after a hand injury. … Minor fought of all his fights in Nevada, with 18 in Las Vegas and three in Reno. … His biggest win was a victory over previously unbeaten Ernie Lopez for the North American welterweight title in 1964. · SHANE MOSLEY – Born Sept. 7, 1971. … Compiled a 49-10-1 record with 41 knockouts. … Scored a pair of victories over long-time rival Oscar De La Hoya. … Held world titles at lightweight, welterweight and super welterweight. … Was a fan favorite because of his power and his fast hands. … Scored notable victories over De La Hoya twice, as well as Fernando Vargas twice, Luis Collazo, Ricardo Mayorga twice, Antonio Margarito and Phillip Holiday. … Suffered losses to Floyd Mayweather, Manny Pacquiao, Winky Wright, Vernon Forrest, Miguel Cotto and Canelo Alvarez. … He was 15-7 with 12 KOs in world championship fights. · AARON PRYOR – Born Oct. 20, 1955 and died Oct. 9, 2016. … A member of the International Boxing Hall of Fame, Pryor was 204-16 as an amateur but lost a spot on the fabled 1976 U.S. Olympic boxing team when he was outpointed in the box-offs by Howard Davis Jr. … A powerful puncher with a great chin, Pryor was 39-1 with 35 KOs. His only career loss was by stoppage in 1987 to Bobby Joe Young. Only four of the 40 pro fights he was involved in went to the cards. … He is best known for his pair of victories over Alexis Arguello in 1982 and 1983. He stopped Arguello in the 14th round in Miami on Nov. 12, 1982 and then knocked out Arguello in the 10th in a heavily hyped rematch in the outdoor arena at Caesars Palace. … Won the WBA super lightweight title on Aug. 2, 1980, knocking out Antonio Cervantes in four. Pryor made eight defenses of it. He won the IBF super lightweight title by decisioning Nick Furlano on June 22, 1984 and made one defense. · SEN. HARRY REID – Born Dec. 2, 1939 in Searchlight, NV … Reid is best known as a politician, and served Nevada as a U.S. Senator for 30 years. He was the Senate Majority Leader for eight years. Reid also served in the House of Representatives and was Lieutenant Governor of Nevada. … Reid loved boxing and boxed as an amateur while at Basic High School in Henderson. One of his teachers there, Mike O’Callaghan, served as his boxing coach. O’Callaghan later became Nevada governor with Reid as his lieutenant governor. … Reid played a key behind-the-scenes role in helping boxing promoters and regulars with fights in Nevada. … He was frequently seen at major fights in the state. · JERRY ROTH – Born May 12, 1941 … Roth was one of boxing’s best judges in a 35-year career that began in 1990. … Among the major fights he judged were the heavyweight title fight between Larry Holmes and Gerry Cooney; Oscar De La Hoya-Felix Trinidad; Julio Cesar Chavez Sr.-Meldrick Taylor I; all three Evander Holyfield-Riddick Bowe heavyweight title fights; Roy Jones-James Toney and Marco Antonio Barrera-Erik Morales III. … Was elected to the International Boxing Hall of Fame and will be inducted in June. … Was regarded as one of the small handful of the best judges in the world for more than 20 years. · EARNIE SHAVERS – Born Aug. 31, 1945 … Shavers was one of the most feared punchers in the heavyweight division and was renowned to be the hardest puncher in boxing during his career, which went from 1969 until 1995. … Shavers was 74-14-1 with 68 KOs. … Fought for the heavyweight title twice. Was outpointed by Muhammad Ali on Sept. 29, 1977 at Madison Square Garden. In 1979, he knocked Larry Holmes down in the seventh round of their title fight at Caesars Palace, but Holmes got up to stop Shavers in the 11th. … Ali nicknamed Shavers “The Acorn.” … His most notable win was a first-round KO of Ken Norton at the Las Vegas Hilton in 1979. … He also knocked out ex-champion Jimmy Ellis in 1973, also in one. … He scored 23 first-round knockouts in his career and ended 50 bouts in the first three. The Nevada Boxing Hall of Fame is an IRS 501 (c)3 charity and all donations are tax deductible. The Hall’s charitable contributions over the five years since its formation have helped boxers in need and boxing-related charities. Donations are welcome.